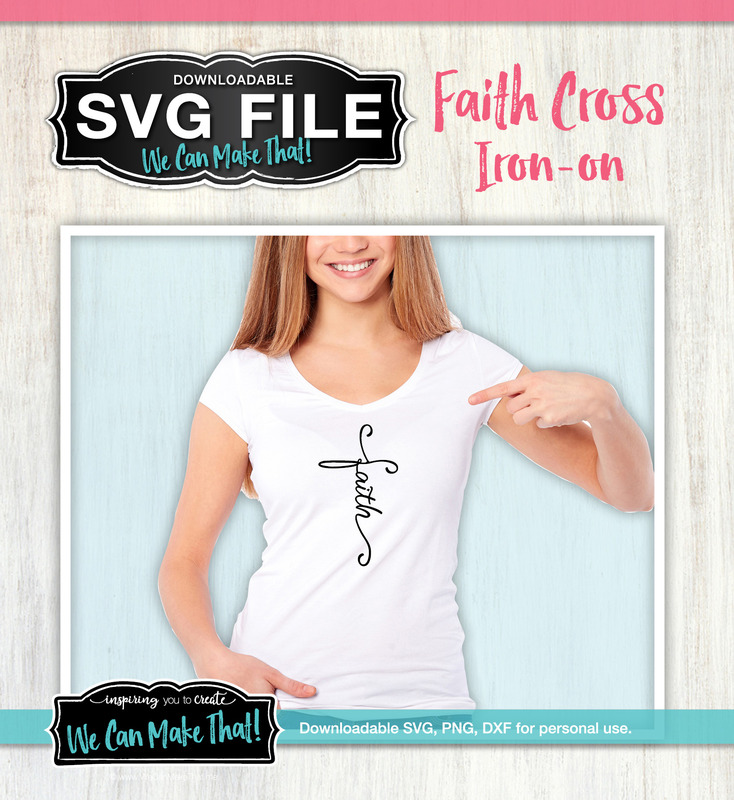 This fun Faith Cross SVG works amazing for an iron-on design for a shirt, or a mug graphic. 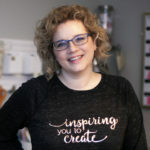 Need a quick donation for a silent auction? Cut this Faith Cross SVG out of vinyl for a cute accent for wall decor. This Faith Cross SVG would make a fun car decal. 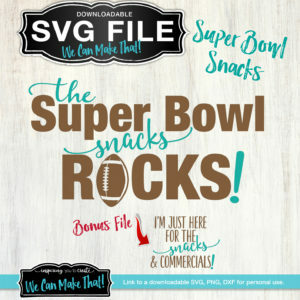 Check out more ideas in my creative gallery page! 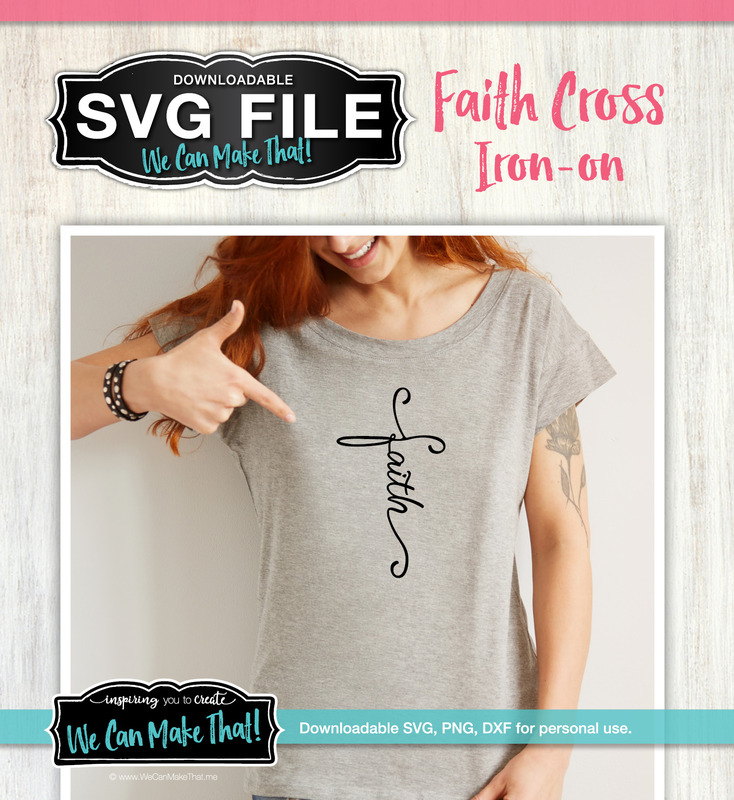 Download the Faith Cross SVG file and use it on your cutting machine. 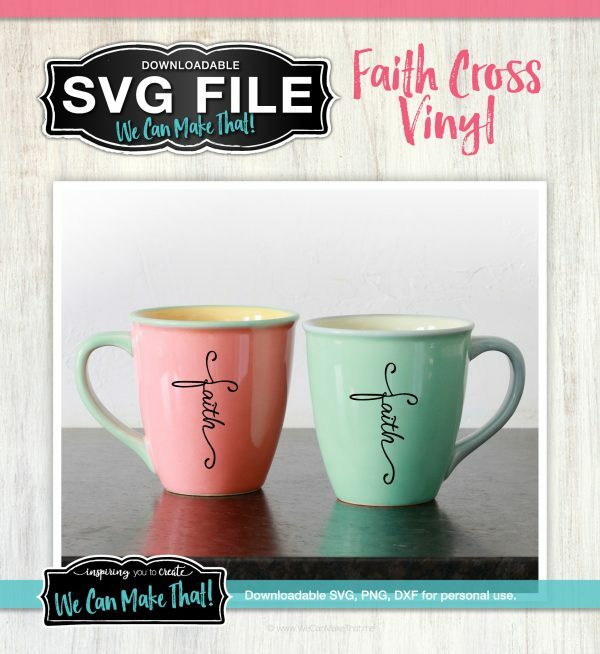 I used my Faith Cross SVG in Cricut Design Space and they look cute on a mug and a shirt! *For personal use only, please. 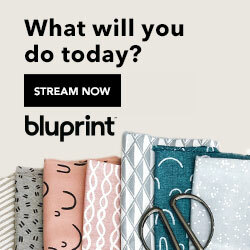 Permission is NOT granted to use this art for items you sell. See enclosed rules in download file or on our disclosure page.